The mission of the Graduate Student Committee is to provide mental health counseling graduate students opportunities for leadership, advocacy, and networking in order to promote professional development and identity. To become a member of this committee you need not be a member of the UMHCA board. 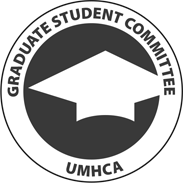 Once you become a member of the Graduate Student Committee, you will be able to see the forum link and participate in the activities of your committee. University of Phoenix will be shuttering their on-campus programs soon. They are only offering online programs. Volunteer or accept assignment of committee tasks and activities. Serve as proxy when requested. Does this committee interest you? If you are interested in helping to promote the mental health counselor profession in this capacity, click here.